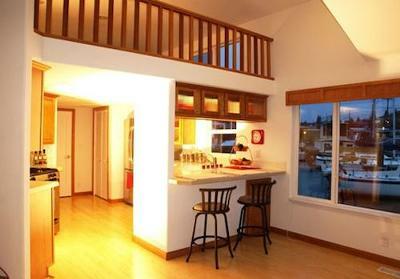 Are floating home houseboat cottages becoming a trendy way to live on the water? You bet they are, just like Tom Hanks in the movie Sleepless in Seattle, folks everywhere are discovering the advantages of this new lifestyle. Living on the water, literally waterfront property. 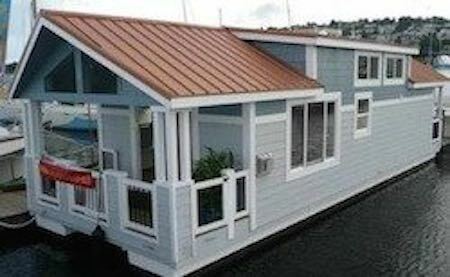 The price of these new houseboat homes for sale has now become so affordable that just about anyone can buy one. 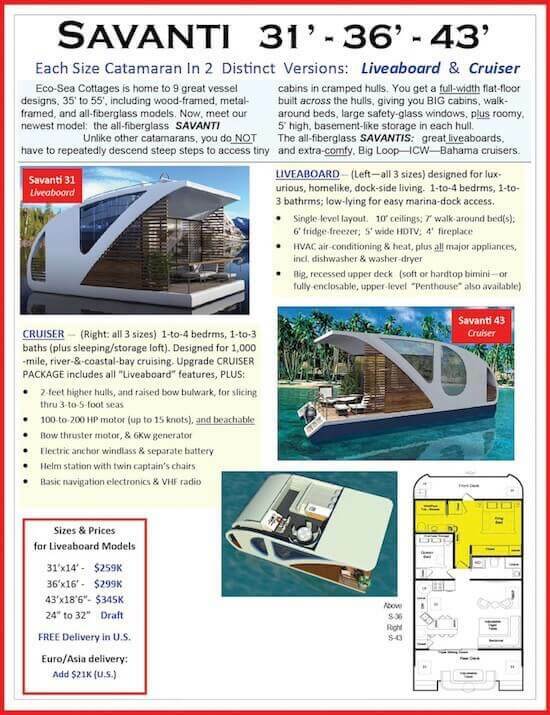 For a fraction of the price of a land-based cottage, you can quote your own floating home on the water. 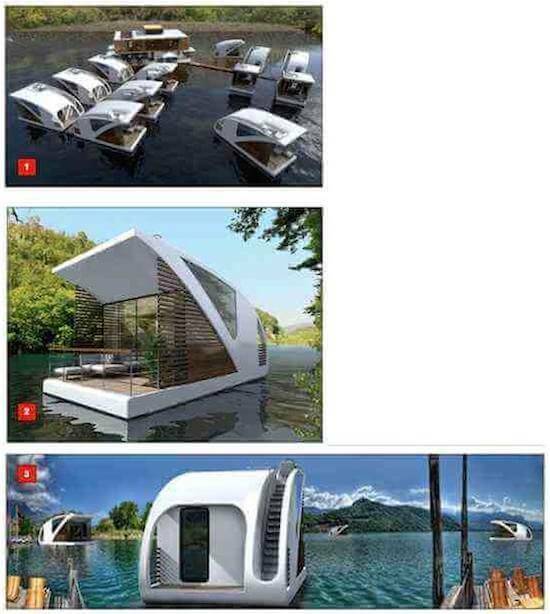 The two floating home cottage houseboat models available are the TRADITIONAL style, and the MODERN style boats. 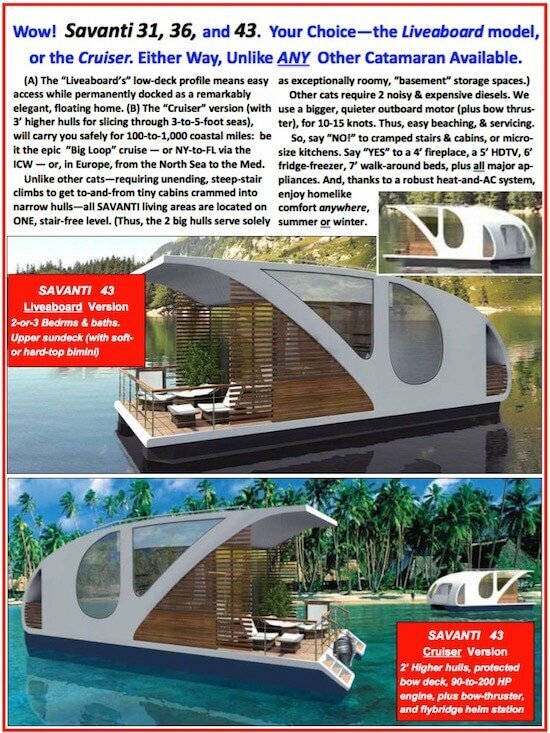 Comparable houseboats start at 500k+, the Savanti starts at only $275k+. They're built with high quality materials, with custom designs to meet the buyers needs. 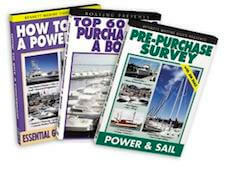 ￼￼￼￼￼￼￼￼￼￼￼￼￼￼￼￼￼￼Now you can enjoy full-time, liveaboard comfort at your favorite marina, OR, for the cruisers among you, they're designed for single or twin outboard motors, so you can cruise lakes, rivers, the "big loop", the ICW, Long Island, Puget Sound, the Chesapeake, or the Keys ! The SAVANTI is built with high quality materials, with custom designs to meet the buyers needs. Comparable boats are $500k+ yet the Savanti starts at $275k+. UPDATE: New financing available with only 20% down (subject to credit acceptance). For more detailed information and pricing, download your own brochure here. 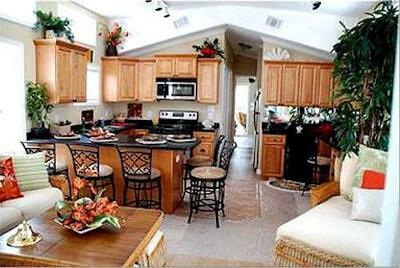 Even when you compare it to a current houseboat, the prices of these luxury made to measure homes is simply unbeatable. You can have the best of both worlds, a quiet serene location, and the possibility of all the lake side activities at your doorstep. There's now a free 58 page color downloadable brochure full of photos, specs and useful information. 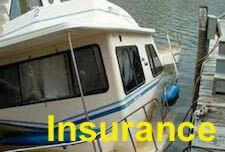 They now are built with ultra-low maintenance, highly durable aluminum hulls or fiberglass hulls. You now get a much better hull, and lakefront property for a fraction of the current unaffordable waterfront real estate prices. 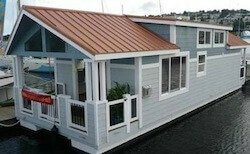 Floating House Boat Cottages - baby boomer trend or homes? 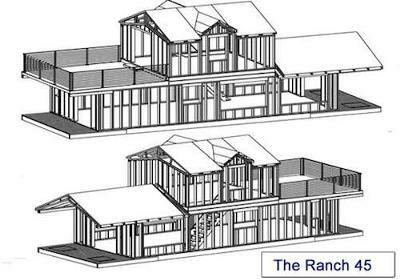 These cottages that float are manufactured in various models and layouts. 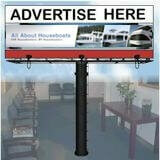 The sizes range from an inexpensive 30 x 12 foot wide models, all the way to a whopping 55 x 16 wide with two levels. 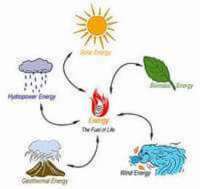 They are single and two storey styles with multiple bedrooms and configurations, some designed with guest rooms or home offices, others with multiple bathrooms or sun-decks. 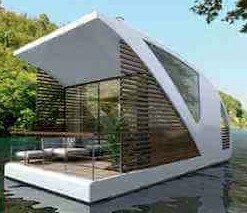 These trendy baby boomer style homes that float are built at various locations around North America and can easily be shipped worldwide. Some are equipped with outboard engines to be self-motoring, others are simply towed to their final destination. 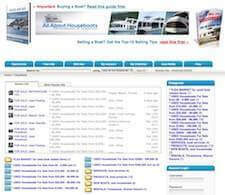 They are built with quality marine materials, along with custom designs to meet the buyers needs. 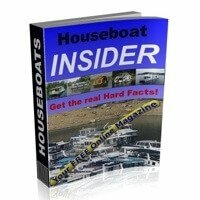 Comparable boats start at 340k+, these start at only $189k+. 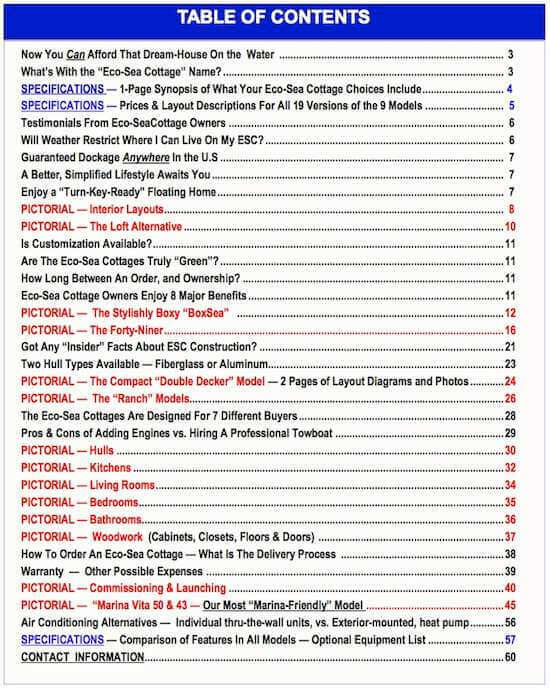 Like to know more about these amazing house boat cottages, you can download a completely free 58 page color brochure that answers questions like models, sizes, warranty, specifications, layouts, pricing, shipping, locations, and a slew of other popular questions. 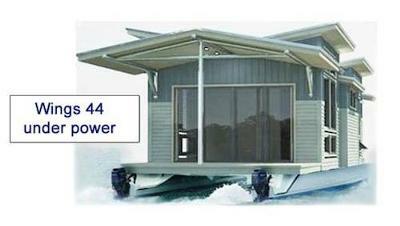 Download & take advantage of promotional prices on the MODERN & TRADITIONAL floating homes. Download your own Color Brochure Here.